It’s simple for someone to log into a career website or visit a job board and type in a few keywords relating to the job they’re hoping to fill, but what do they do with all those resumes that are spit back out at them? You’ll end up with lots of information about who people who only meet some of the necessary criteria and lots of duplicates from website to website. At the Lawler Group, we have our own extensive database of highly qualified candidates and we’re familiar with every one of them. We can quickly put together a list of potential candidates that meet every one of our clients’ specifications, and we can even contact individuals who are currently employed but who would be interested in hearing about what you have to offer. No website can provide that kind of access to qualified, passive job seekers. The cost of hiring executive recruiters quickly pays for itself by eliminating the need for your own human resources employees to play the resume game. They won’t have to sort through the hundreds of worthless resumes to get to the promising ones and they won’t have to put together job descriptions every time an executive position opens ups. They won’t even have to do background checks, because our executive recruiters can do the work for you. 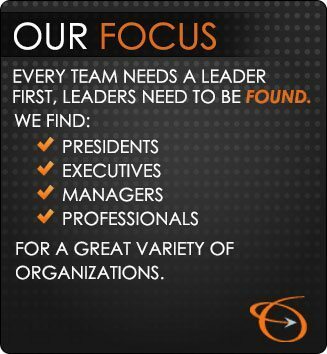 We’ve worked in your industry for years and we have a wealth of valuable contacts in private industry, public service and various industry organizations that can be called upon to help us find the one candidate that’s the ideal fit for your executive level job opportunity. Why lose money every day that an executive or management level position goes unfilled when our executive recruiters can quickly fill the position without having to tie up HR or personnel? These days it pays to contract with the Lawler Group’s executive recruiters whenever you have a job to be filled simply because we can provide you with valuable candidates without the hassle of potential legal problems or juggling a variety of different commitments. Unlike your own employees, our executive recruiters do one thing only and do it well – they recruit talent for your company. During that process, they’ll handle everything from properly vetting the candidates to performing initial background checks.